Vio New Home Ltd - Plumber, Tiler - Tiling based in West Wickham, Kent. 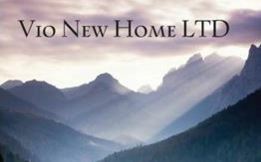 Vio New Home Ltd is a professional company with over 15 years’ experience within the industry. We take pride in tidiness, reliability, time keeping and working towards the client’s full satisfaction. We are multi-skilled tradesmen with the tools and techniques to transform your home. Our company is happy to deal with a leak you cannot fix, a shelf you cannot put up, a room you cannot decorate / wallpaper. A new kitchen or bathroom from floor to ceiling, or a complete refurbishment of your property Interior / Exterior. The laying of patios to the building of sheds and out buildings. Together we can work as a team to make your home your dream. We thrive on reputation and feedback, so all of our work is carried out to the best of our abilities. Our aim is to provide customers with the highest quality of workmanship. We offer free estimates, to all customers but we don't give free estimates for insurance work. Please do not hesitate to call 07968509444; this is our 24hr number so please call at any time.